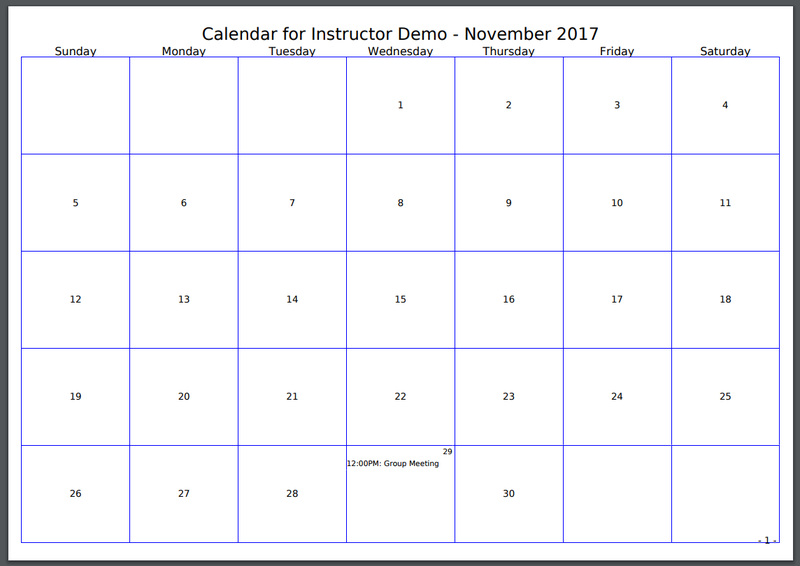 Sakai Guides and DocumentationSakai Complete User Guide CalendarHow do I print the Calendar? A new window will open with a PDF version of the current calendar version displayed. Print or save the PDF file from this window. Tip: The printable view will change depending on which view of the calendar you are currently viewing (i.e. day, week, month, year, or list). Be sure to select your desired calendar view for printing before clicking Printable Version. Prev: How do I delete a calendar item? Next: How do I merge the Calendar with another site?